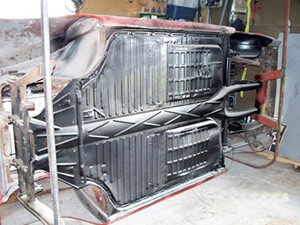 The following photos are examples of body off rotisserie restorations. Note various size vehicles can be restored this way. This first photo depicts a 1965 Karmann Ghia on a loop style rotisserie. 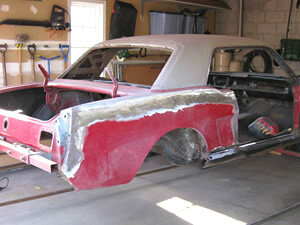 Photo 2 shows a full size Ford Mustang shell from the front view. 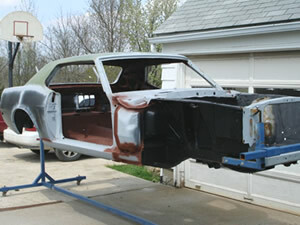 This third photo shows the rear area of the same Ford Mustang. 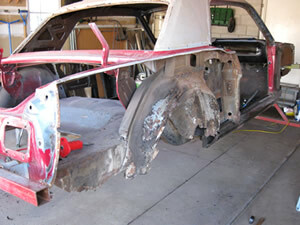 This method allows us to retore any vehicle to the highest standards. 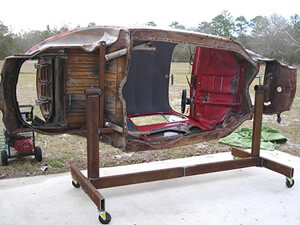 This photo shows a complete shell of a Volkswagon Beetle. 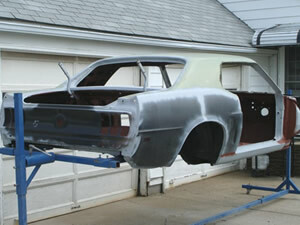 This picture shows a 1965 Mustang on Last Chance Auto Restore's portable rotisserie at a client's garage. We are preparing the rear quarter panel for replacement. 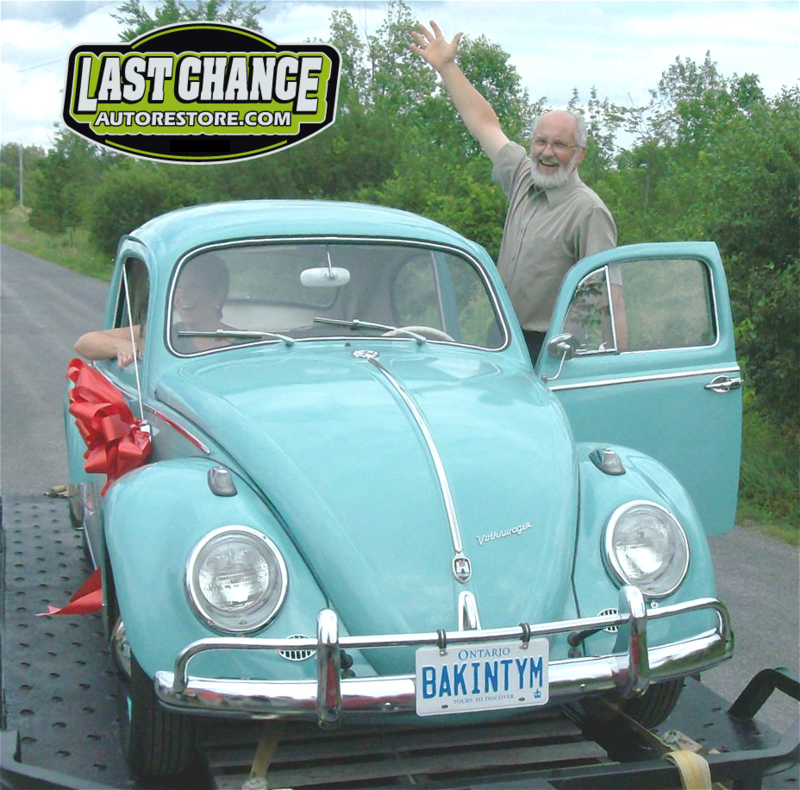 Last Chance Auto Restore comes to your home with a rotisserie and portable welding equipment. We will do the fabrication with your input and help. When the metal work is complete, you will be on your way again.